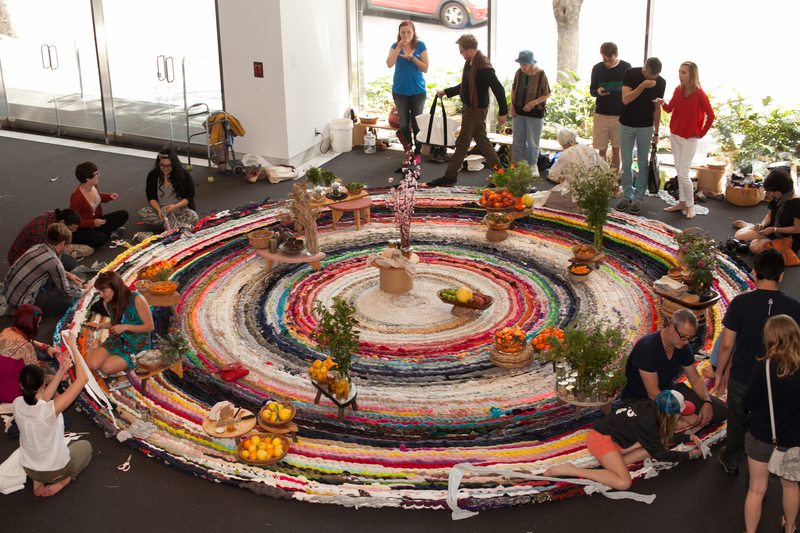 Over the course of four marathon days, March 21-24 2013, the Los Angeles–based artist Fritz Haeg worked in the museum lobby with volunteers and museum visitors to crochet discarded textiles—much of it clean discarded clothing sourced from visitors—into the traveling Domestic Integrities rug. 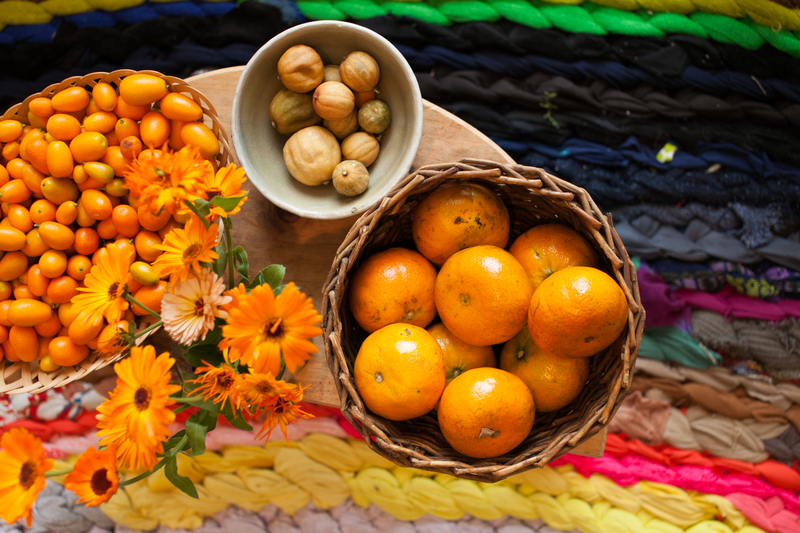 A display of edibles, medicinals, and herbals fresh from his Los Angeles garden, including offerings of produce and herbal tea infusions, was presented on the rug. 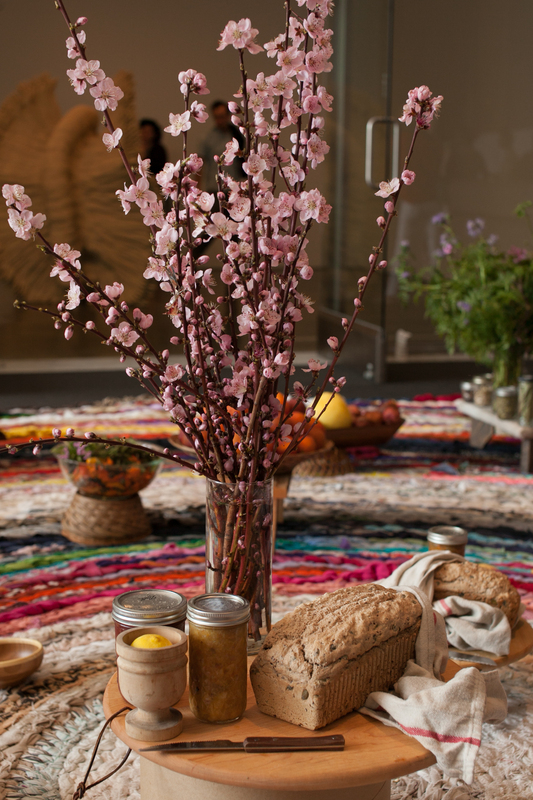 Domestic Integrities surveys local and seasonal patterns and rituals of interior domestic landscapes, calling attention to the way that we use what we resourcefully find around us to make ourselves at home. 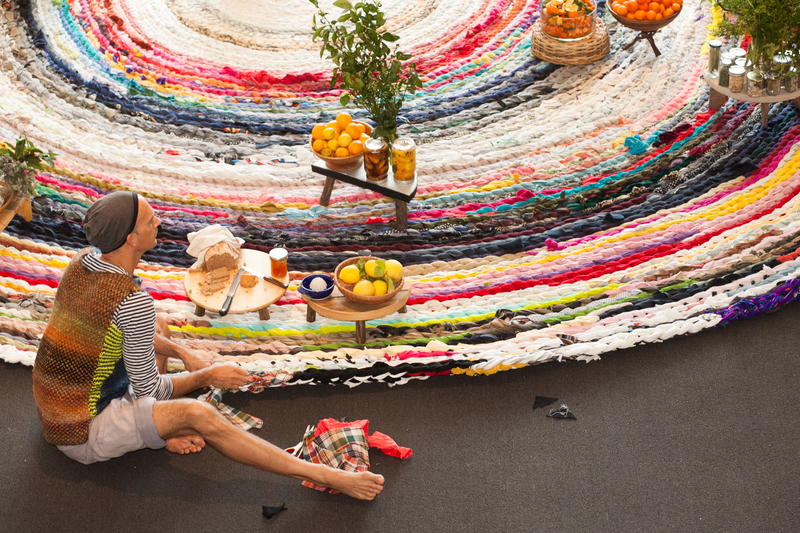 The spiral-stitched circular rug made from discarded textiles is a charged site for testing, performing, and presenting how we want to live. 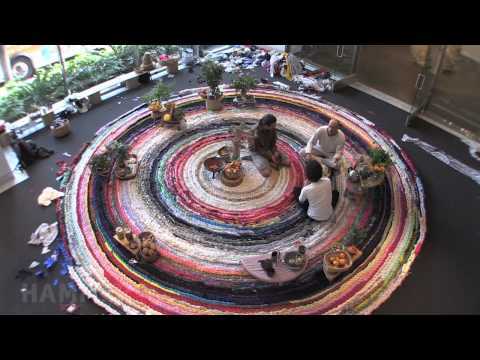 The Domestic Integrities rugs gradually expand as they travel from city to city. The European edition traveled to Budapest, London, and Vienna before arriving at a yearlong installation at Pollinaria in Abruzzo, Italy. American editions started at Mildred’s Lane in Pennsylvania and the Broad Art Museum at Michigan State University, coming to the Hammer from the Museum of Modern Art in New York, before continuing to the deCordova Sculpture Park and Museum, Lincoln, Massachusetts; the Walker Art Center, Minneapolis; and the Berkeley Art Museum. 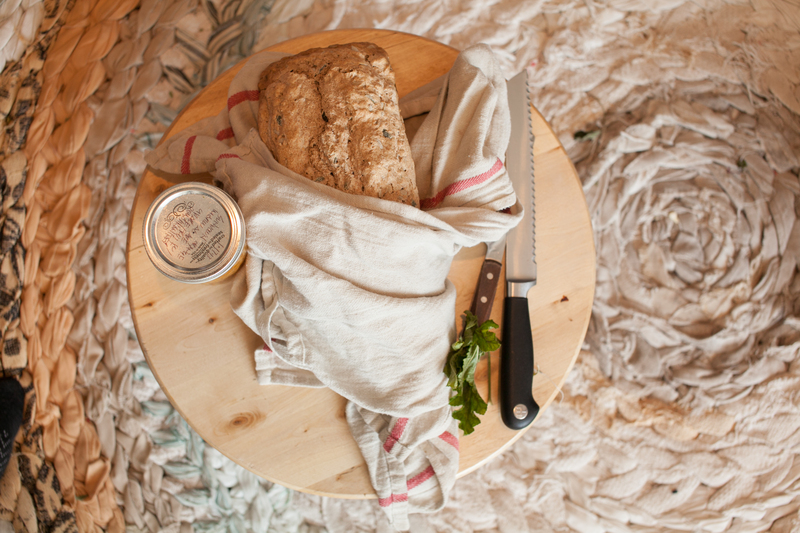 Domestic Integrities surveys local and seasonal patterns and rituals of interior domestic landscapes, calling attention to the way that we use what we resourcefully find around us to thoughtfully make ourselves at home. Forming a plant-animal-human trilogy with Edible Estates (est. 2005), a series of front-yard food gardens, and Animal Estates (est. 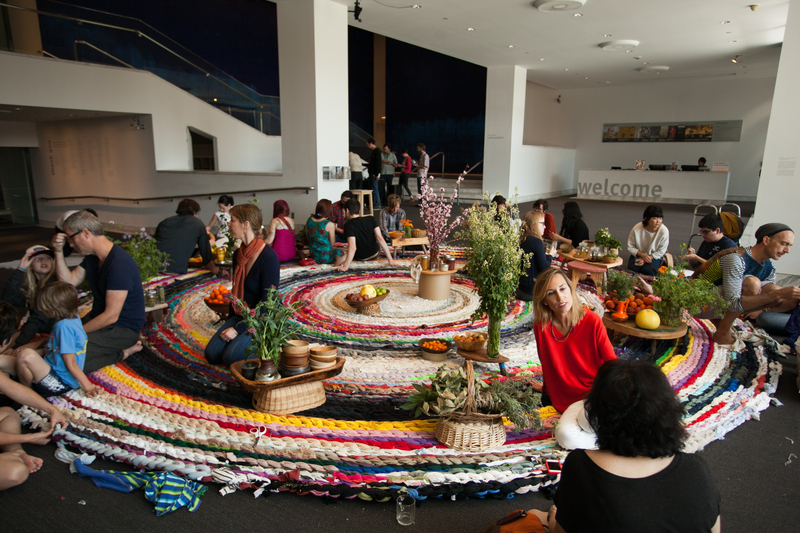 2008), initiatives for urban wildlife architecture, Domestic Integrities focuses on the interior environments of humans and the ways in which local resources are digested into their dwellings. Fritz Haeg was born in St. Cloud, Minnesota in 1969. He studied architecture in Italy at the Istituto Universitario di Architettura di Venezia and received a BA in Architecture at Carnegie Mellon University. He has taught architecture, design, and fine art programs at CalArts, Art Center College of Design, Parsons, and the University of Southern California. In 2006 he initiated Sundown Schoolhouse, an alternative educational environment based in his geodesic dome in Los Angeles. Haeg works between his architecture & design practice Fritz Haeg Studio, the happenings and gatherings of Sundown Schoolhouse, and the ecology initiatives of Gardenlab (including Edible Estates and Animal Estates). 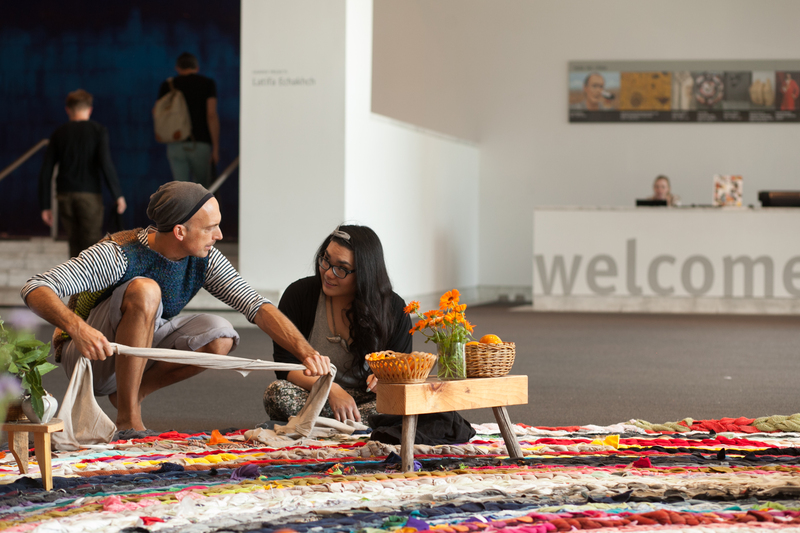 Haeg’s projects and works have been exhibited in venues internationally, including at the Tate Modern, London; MassMOCA, North Adams, Massachusetts; The Institute of Contemporary Art, Philadelphia; Texas ArtHouse, Austin; the Whitney Museum of American Art, New York; the Netherlands Architecture Institute, Maastricht, Netherlands; Exit Art, New York; and the Wattis Institute at CAA, San Francisco.